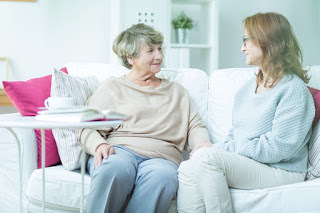 Helping Hearts Senior Care is not just a home care agency; we’re a family full of compassion, kindness, friendliness, helpfulness, and everything else you would expect a family to encompass. Every one of our clients are a part of our family, and we treat them as such. Not only do we help with homecare, but we also come to clients that are living in facilities. Whether it’s 24/7 care or simply bringing medication to them at the right times of day, we are here for them and you. We are A+ certified, fully licensed and bonded, and are ranked in the 90th percentile nationally on Caregiver Work Ethic, Compassion of Caregivers, and overall quality. We are also a Home Care Pulse Certified Provider of Excellence. All of our caregivers go through rigorous background checks, drug testing, and caregiver training before the very first with any clients, so you know they are in good hands. Our office is open 9am-5pm Monday- Friday and we can always be reached after hours or on the weekends. If you and your family find yourselves in need, please do no hesitate to call us. We respond quickly and are here to serve You! If you or an aging loved-one are considering in-home care in Birmingham, AL, please contact our caring staff at 205-490-1079. We service Birmingham, Vestavia Hills, Hoover, Pelham, Pinson, McCalla, Trussville, Adamsville, Chelsea, Mountain Brook, and Homewood.